Mouse anti Estradiol antibody, clone 6E1 recognizes estradiol, a reproductive hormone and the most potent naturally occuring estrogen.  The antibody cross-reactivity was tested against a selection of non-estrogenic steroids and was found to be extremely low. The cross reactivity with a number of estrogenic steroids can be seen in the table below. Fantl, V.E. & Wang, D.Y. (1984) Simultaneous production of monoclonal antibodies to dehydroepiandrosterone, oestradiol, progesterone and testosterone. J Endocrinol. 100 (3): 367-76.